Those who pee, those who swim…. I recall pointing out a small technical point on a swimmer’s stroke during a warmup which I hoped if they could make the small modification would result in a faster swim. This was a good athlete who had been to Kona before and was hoping to go again. The session continued and after 35mins or so into our 90min Mile End fitness session we took a short break to prepare for the mainset. It is usual for swimmers to take a quick pee break, rest and chat or take a 50m easy swim. 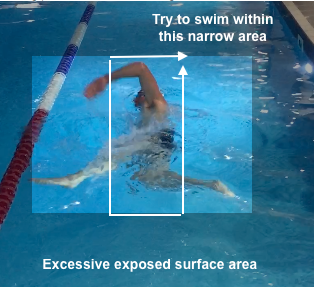 I noticed the swimmer who I had pointed out the tech issue to swim to the deep end and address the flaw with a simple exercise using the deep end wall. I was impressed. No chatting, resting or pee’ing for this athlete. Last night another athlete just back from racing Kona attended our Kensington fitness session. So soon?! yes so soon. A short break after the race, the long travel trip broken up with a stay in the US but back in the water just a few days after landing in London. No one is asking for amazing performances, best times or huge volumes but staying out of the water for long periods is not healthy to your stroke or your feel for the water. Yes, there is such a thing and while ‘feel’ might sound a little mystical plain & simple the water can feel slipper or more solid depending on how familiar you get with it. One swim per week is 6 days of unlearning to swim. If you actually want to get faster you have to commit to 3 per week. Sorry! 1-2 per week is not enough, it might allow you to stay at your current levels but it is highly unlikely you will get quicker. Don’t undo all that good work from the previous 6 months by allowing yourself to resume after a lengthy break from a worse off position than where you finished the season. Build on it, year on year. There should be progression not a restoration of your usual ability from a deficit. If you are a great Duathlete and have the potential to bike and run with your AG at Kona what do you do? start work on your swim with a two year plan as a good friend and fellow coach did. Of course you aren’t going to swim 30 mins quicker in a matter of weeks, but you might be surprised what can be achieved short term if a few glaring issues are corrected. Given enough time though it can happen. An extra 45min swim per week, 2km, 25 strokes per 25m which hopefully should come down for 2 years is a potential 5million strokes that can be put to good use. Finally, you might cure that bad kick, inability to breathe to the left, lift the head too high, dropped elbow, straight arm push down etc etc. There are those who talk about going to Kona and those who actually will race it. Those who do the extra little things to practice, to improve, to commit and really achieve their dreams. I was pleased to learn that after getting up pretty early 2-3 mornings per week one of our Para swimmers has qualified to swim for England at the Cerebral Palsy championships in Barcelona next year. Leo lives in Putney and gets to the LAC, Stratford for 6:30am via the train system. Ok it isn’t Kona but we are excited about Barcelona. Have you asked yourself where will you be swimming next year? what will you do to get there? During the current fortnight you might have been asked to swim as far as possible in 10mins and record the distance. If not this week then certainly next week at the SFT fitness sessions. This is so that the coaches can nip off and refill coffee cups from next door. Along with this though there are some other benefits…. Would you favour a race that offered a fast swim? Or avoid it since you were not being tested over a true and fair course that you paid for? 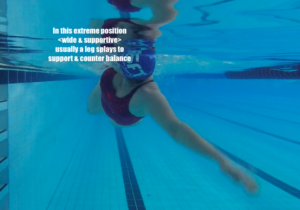 Should you even be caring about your OW swim times when in fact positioning would be more important since conditions will be similar to all on race day? Surely ‘time’ progress should be measured in the pool where conditions can be controlled. If your swim times in OW are significantly slower then pool based swim tests then granted you should look at your OW skills and ability to swim straight. If you are not testing yourself regularly in the pool then going back to your coach and saying ‘I am just not getting quicker in OW’ then this is probably going to leave all parties frustrated as the following will reveal it is not easy to compare OW swims. A necessary part of recording and checking your progress is to test yourself on a regular basis with benchmark sets in the pool. Tests could include Timed swims, measuring stroke counts, taking Golf scores, working out your critical swim speed or performing a Step test. Parameters should be kept identical down to the smallest detail. Ideally perform the test at the same time of day, same length pool and have a similar warm-up before the set. Testing on a fairly regular basis should be a key part of your training. Many triathletes know their VO2 max, most would know their resting HR and average speeds for their 10mile bike TT or a 5K run. However, we should also be familiar with our best efforts in the pool. Measuring these improvements allows us to rebalance the levels of drills and fitness sessions in an overall training plan. When technique measurements are improving then we maybe able to relax some of the pure drills sets and add fitness sessions. If the fitness benchmarks are not improving then I might suggest relaxing off the fitness sets and adding some more drills sets. If you feel you have not been improving then recording and keeping a set of meaningful data is essential. Your comparisons need to be personal – not just comparing against others, which do not provide a real constant. 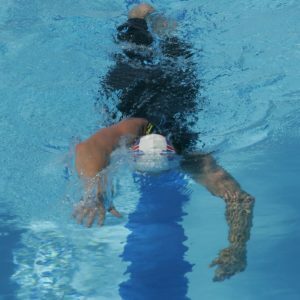 The general speed of the group in your Triathlon or Masters swim session may have moved on massively and to still be ‘stuck’ in lane 1 is not a failing on your part. Recording your own set of tests, taking your own measurements and charting them monthly or per training cycle needs to be done otherwise you will have no idea of how you are progressing. It is only this kind of strict and accurate measuring that can really gauge whether or not you are improving. Comparing one open-water swim to another or even the same course from year to year is of very little use other then to be a rough guide. Currents, weather and variations to the actual course layout will have the distance change significantly and the potential time taken to vary massively. If after charting your progress for several months and you note you really are not improving then questions can be asked. If you can honestly say that you feel your technique is holding together then maybe it is time to check how hard are you working. If you can ‘hang on’ to an even stroke count throughout a 400m swim then that is a great step forwards. The next step is to have the control and enough feel for the water to swim the same number of strokes per length regardless of speed. A decent male adult competitive swimmer in a 25m pool will swim 13-15 strokes per length regardless of their speed. They will still swim the same distance per stroke. Inefficiency will allow the stroke count to increase, not more speed. A higher stroke count will rarely equate to more speed only more tiredness. Good technique gets you so far and needs to be good before moving onto more serious fitness swim sessions. There comes a time though when you need to work hard as well. Not to the extent your technique falls apart but you should be getting out fairly tired after the appropriate sets swum at the appropriate intensity. Speak to your coach about some of the usual swim tests that could be incorporated into your swim training. Making the most of what you got dealt. We could all be better, faster, lighter if if if…. I blame my short legs for so many things. Sitting down next to my old swim friend Mark Foster and we are the same height. It could have been me on Strictly doing equally as bad. I am usually the tallest guy when we are all sitting down on a train or plane. I can see the confusion when everyone gets up to disembark and people are saying ‘hey where did that tall guy go?” With a reasonable turn of speed for a distance guy and great endurance since the 1500m was my event it was a shame the 10k Openwater was not available in 1992 when I was at my fastest. I am sure it would have been my event. So when it comes to training this Winter have a think about making the most of what you have. Is something really stopping you? Could you build on what you do have? Maybe you don’t have a 6 litre lung capacity but you could train more effectively breathing every 3rd in order to race relaxed every 2nd with a balanced stroke. Your VO2 max not as high as you’d like? losing a few pounds would enhance it. Maybe you don’t have a 6 beat leg kick and a big sprint finish, which you don’t really need. But, you could work this winter so that you can swim faster than you can pull. Maybe you can’t bench press nearly 300lbs like Adam Peaty but you could ensure both your left and right arm perform the same movements, take the same pathway under the body with the same angles at the elbow and accelerate at similar rates. Sometimes it is easy to see why you are not swimming in a straight line. Your streamline off the wall might lack the flykicks of Phelps to 15metres but we should all get to the first set of flags before engaging the first arm pull. You might not have size 14 feet like the Thorpedo but turning yours in a little will help maximise the surface area are you do have. Big toes tapping, can you feel them lightly brushing? ‘On pointe’ will be well beyond most of us lacking Carlos Acosta genes but a little ankle flexibility could help our streamline. Ian Thorpe kicked a sub 5min 400m once upon a time, how about a kick that does not take you backwards being an aim this winter? No, no, no, don’t clench and cup those hands, scooping the water with those little hand paddles. We want big hands, a few mm of daylight between your fingers and feel the body travel over the anchored hand. They are anchors not paddles, holding the water so the recovering arm can launch forwards as the body rotates. You love your neoprene nappy you wear all the time but shouldn’t it be a crutch for that tired swim at the end of the week <post big bike ride> rather than your new swim technique that can’t cope without. It is highly unlikely a race in the UK will be non wetsuit next year but maybe. Many Ironman are. Austria, Switzerland and Germany often flag up. Why not prepare now for a non wetsuit swim and reap the benefits? if you do get to wear it great! alternatively the stress if you can’t and not being prepared is the last thing you need with another 138miles to go. The latest wetsuits are coated in special layers to help minimise drag, why are you undoing this with a big ‘cycling’ leg kick? It is nearly November, can this extended break really continue? Could you not build some momentum ahead of the big inevitable break over Xmas. With the bike and run to factor in no we can’t swim six times per week but we can swim more than once. Surely?! I have just had the pleasure of spending a week on training camp with Septuagenerian Ironperson Eddie Brocklesby. She is planning on another IM event later this year so some swim, bike and run at Club La Santa seemed ideal. While many approached the last day tired and exhausted she got up early and went off and raced the local Mini Tri hosted by the facility. I wrote the following recently about Eddie and her amazing training routine that we can all aspire to at any stage…. Swimming did not come easy to Eddie having learned late in life. After many years now working with Eddie on her swimming, I want to share the story of what went into turning Eddie from someone who did not really enjoy the swim into an Ironman Triathlete, tackling her fear of openwater, and getting her to (start to) enjoy her swim training. In this time, Eddie has improved her swimming to the point it was possible to finish the swim in a strong enough position to bike very well, run well and compete in multiple IM events including Kona. Not really for Eddie! shoulders made of concrete were going to be a real hindrance to getting any kind of upper body rotation and arm recovery. Yoga and stretching as part of her regular weekly training were encouraged which would help mobilise her strong upper body. The strength needed to keep the trunk rigid while running, her first sport was impressive, but in order to mobilise and streamline we needed to add the ability to relax and increase her range of motion. Upper body rotation through the long axis of the body while keeping the head still took months. Eventually, with a lot of practice and the sort of determination that distinguishes Elite Competitors, these skills came and progress was made. What was lacking in natural talent was offset with tenacity. I have met few with such an appetite and desire to improve. The general drills program Eddie followed in her own time were restricting incorrect movements, encouraging correct movements and, perhaps most importantly, interrupting the “auto-pilot” movements that had been creating inefficiencies and slowing her down. Slow dragging legs that were not contributing to the overall stroke. She was moving from the stage of “unconscious incompetence” towards “conscious competence”, which required a lot of thought, effort, and diligence in creating correct pathways that reduced drag and created propulsion. At this point, it was not possible for Eddie to contemplate swimming as Active Recovery ie be able to go and have a nice relaxed easy swim to recover from a bike or run session. This is now becoming possible and a real breakthrough in terms of enjoying relaxed swimming. Preciously the act of swimming even very slowly was exhausting. She struggled with physical limitations and restrictions, as well as a lack of confidence and coordination in the water. The combination of physical and mental obstacles proved to be one of the toughest challenges to overcome. While friends, club coaches, and teammates all meant well with advice and suggestions, the information overload was hindering progress. Most swimmers learning good technique in their adult years find the process can be quite overwhelming and need to get their main technical coaching from one consistent source. That is not to say there is only one way to go about improving your training and that we have cracked it! Far from it but the issue is if many voices are adding comments at different stages of progression. This causes issues. The increase in weekly distances swum meant that certain body parts needed strengthening to cope with this increase. A dryland routine was introduced ahead of each session to mobilise key swimming muscle groups and start the warm-up sequence allowing her to enter the water ‘warm.’ Working with Annie, Eddies Tri coach has been a great help coordinating a full plan of attack on getting Eddie race ready. You will see Eddie out on the bike and running year round in all weathers. You will also see her busy all over London involved in her charity Silverfit. What she squeezes into a day is breathtaking. On the many training camps Eddie attends the amount of swim, bike and run she fits into a day is amazing. Recently after a 130km sportive to conclude our Italy training camp most celebrated with a beer. Eddie put on her run shoes and it was time for 7km of running. Choices and sacrifices. If you want to achieve, improve and accomplish it comes at a price. I hoped Eddie would have the patience to see it through another winter and keep at it. Recently she rejoined the Mile End fitness Wed AM group for 90mins and 4km of swim fitness. It is an early start but she is there working hard in her lane. These group sessions including our Summer Openwater sessions keep her motivated, challenged and inspired. It was not easy to convince her that taking a step back now and again from her fitness sessions and work on technique would help in the longer term. Of course, she was not about to become unfit while biking and running so much, but it is highly counter-intuitive for someone with a Championship mindset to be told to step back a little, take it easy a little more, and be patient. Keeping track of progress and setting new challenges was key. I quickly learned that Eddie was keen on stats, such as knowing Resting HRs, weight, calories consumed, 5km PBs, foot cadence, etc. I developed a schedule so that even small degrees of progress were clear. At first, in a typical week, we juggled 2 pure drills sessions, 1 technical endurance session and a light fitness session. Stroke efficiency developed with this balance and, if the next test went well, we would bring it up to 2 fitness sessions and lose one of the pure drills sessions. If our efficiency measures stalled we would take a step back, talk about what was lacking or being lost in the stroke, devise a plan and continue. Even the fitness sessions I write contain 20-30% of drills, due to the technical nature of the sport. I guess the best lesson we can draw from Eddie’s experience is that swimming is not a “one size fits all” sport. You cannot mimic a good swimmer and expect to swim like them regardless of the assurances they might give that their new technique is wonderful. Given the fact that a large proportion of people new to triathlon are coming from either running or cycling backgrounds, and given that most of them have struggle with swimming technique, we can safely say that many of the things that Eddie has struggled with are common issues that triathletes of all levels struggle with. But, each of us has unique strengths and weaknesses that need to be addressed effectively in order to see us become more complete, better performing triathletes who really can enjoy all three disciplines of the sport. I see another IM in Eddies future. Watch out Mexico.